The architecture of this old Victorian building is just as interesting as what is inside. 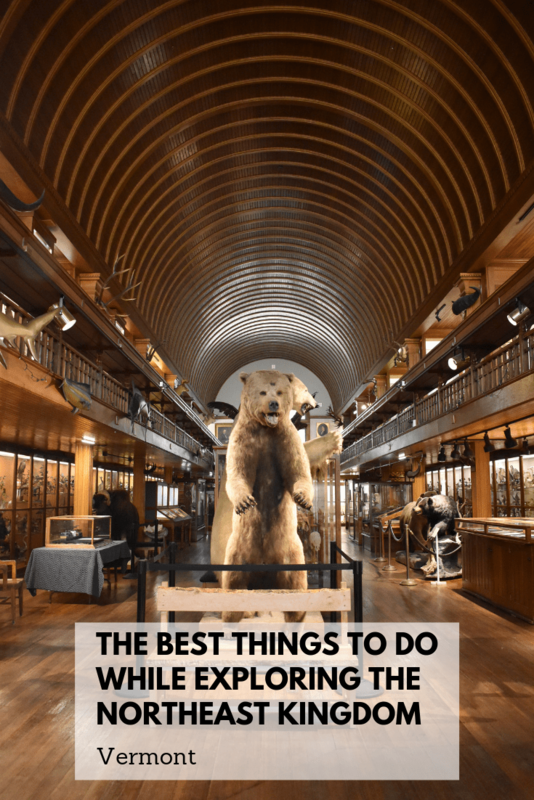 It is a Natural History Museum, planetarium, and houses a bug art collection. There is a small dedicated children’s area. 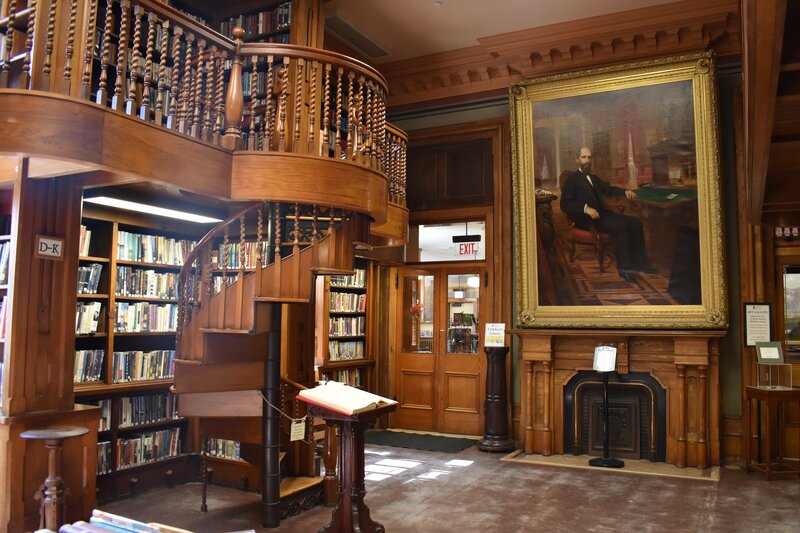 The Athenaeum acts as the area library that looks like a scene out of Harry Potter. A wooden spiral staircase leads up to books that fill every nook and cranny of the place. There is also an art museum exhibiting 19th century paintings. 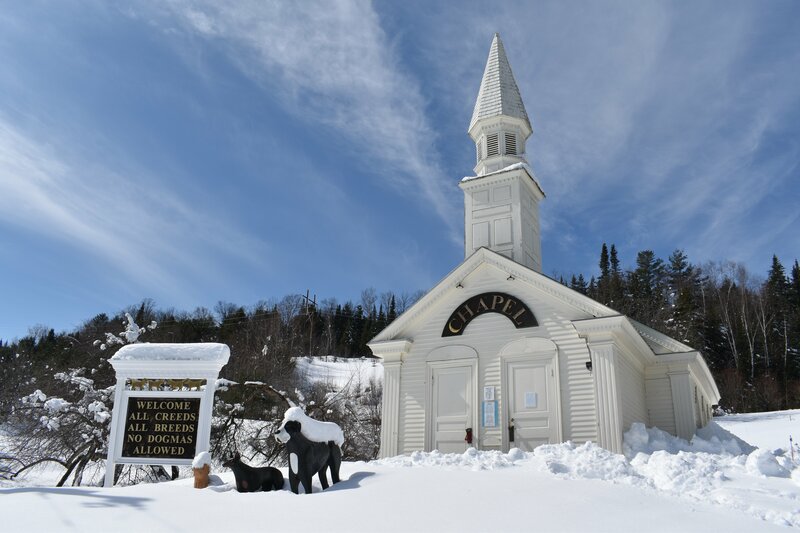 Dog Mountain was created by artist Stephen Huneck to be “a place where people can celebrate the spiritual bond they have with their dogs, past and present.” There is a dog chapel, art gallery, pond and walking trails which you are welcome to enjoy with your dog. You can read more about our visit to Dog Mountain by clicking here. I had friends visit from the UK once and all they wanted to do was eat at a diner and sit on stools like in Seinfeld. They would have loved this place. 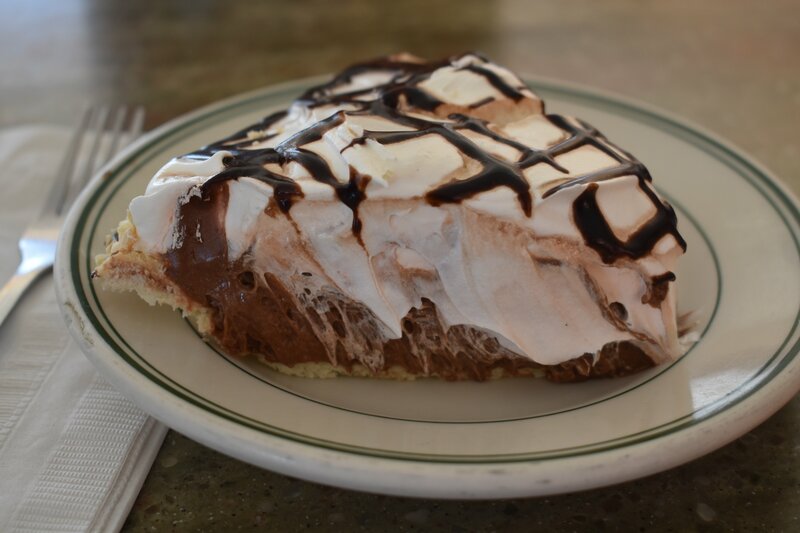 Just like every great old American diner movie, they served a variety of 10 different pies. We went for the chocolate cream and it was amazing. As we started to tire out of traveling, we sat down for some local craft beer and a big meal. 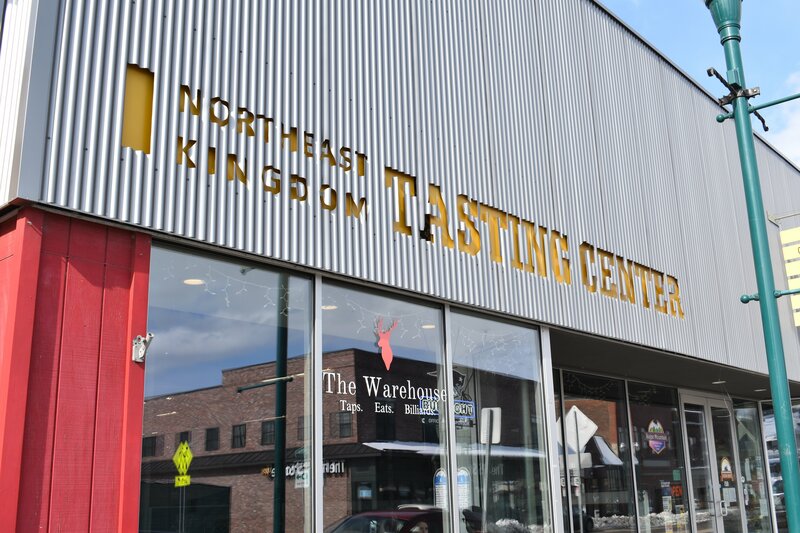 This is a great place to pick up souvenirs, because they have a lot of gifts typical to the region such as maple syrup and Eden specialty cider. There is also a candy store and a bakery. While in Newport, walk along the shore of this 30 mile long lake, but don’t go too far, because half of it is actually in Canada! This is one of those typical Vermont general stores that houses a little bit of everything. One aisle you are looking at hardware and suddenly you are in the lingerie section and a parrot is talking to you. We had so much fun wandering both floors of this place, because we never knew what to expect when we turned a corner. The ice cream window opens for the season in mid-March and although there were several feet of snow still on the ground, the line for Tim & Doug’s was a mile long. Try a creemee which is Vermont’s version of soft serve, but creamier (hence the name). I have yet to try one because I can’t pass up on my favorite Maple Walnut flavor. 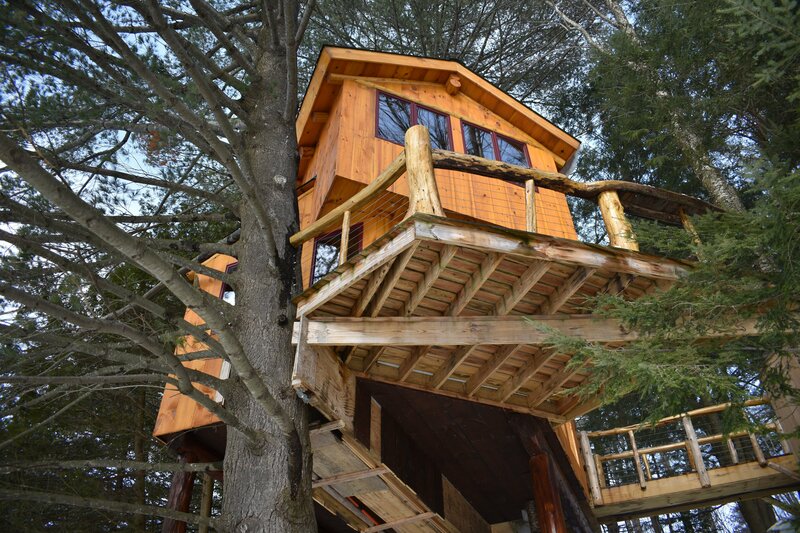 This dreamy tree house is located deep in the woods where there is not another house in sight. Sitting in the cedar hot tub overlooking the pond was heavenly. The owners supply the fixings for homemade waffles and Vermont maple syrup for breakfast. I am already dreaming of going back. Click here to read all about our experience. We visited this the Inn at Mountain View Farm when we were looking for wedding venues many years ago. 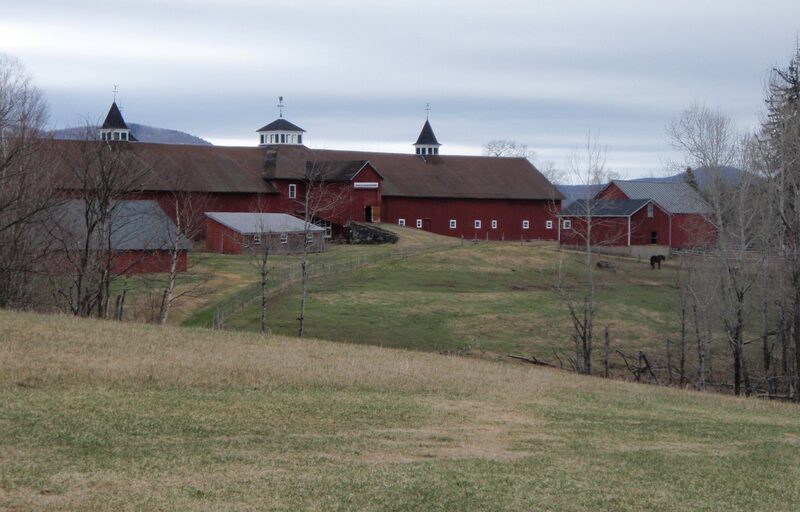 The 440 acre property is simply idyllic with a giant old barn and views of the mountains. The owner began taking in injured and abandoned animals in 2001 and the farm is now home to a bevy of donkeys, horses, cows, sheep and goats. Tours are offered by appointment only. This is a great place to purchase a memento from your trip. The store celebrates the work by the best artisans in the North East Kingdom. With over 100 artists contributing their work, there is a huge variety of paintings, photography, felt work, and pottery. There is something for every taste and every budget. I fell in love with the whimsical illustrations by Jess Polanshek as well as Mary Stone’s clay whistles. Not only will you find something really unique, but you will be supporting the local community. 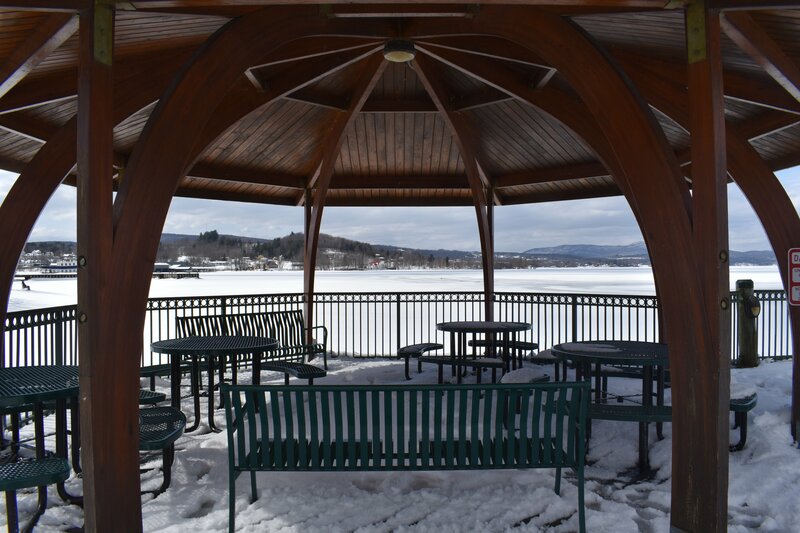 Have you explored the Northeast Kingdom of Vermont? What was your favorite part? Visit the Chamber of Commerce for more information on planning your trip.